We, the 595 cleaners of the Economics Ministry, who had our jobs taken away from us on the 17th of September 2013, so that they can be given to private sub-contractors, have been fighting the last 11 months against the politics of austerity and against those who are imposing it, ie the Samaras government and the TROICA. Every day we are on the street demanding our jobs and our rights, resisting police intimidation and government propaganda. Although we have been vindicated by the Greek judiciary system the government is refusing to implement the courts’ decision. We are appealing to all residents associations, social movements, trade unions, women’s organisations, political parties and citizens of the world, all of you who don’t condone injustice and empathise with its victims, to express your solidarity with our struggle for survival and dignity, which is also your struggle. 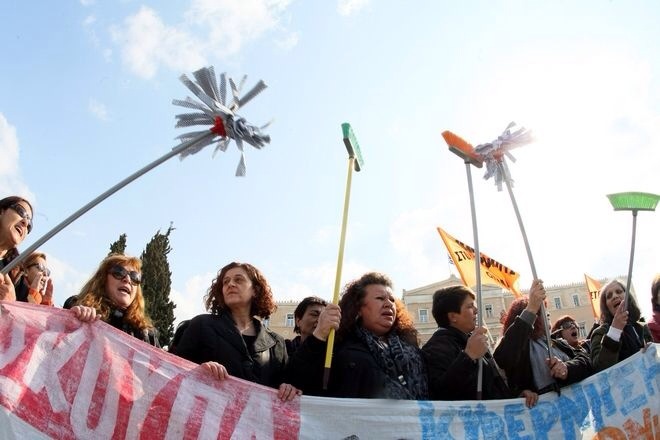 The Cleaners campaign in Greece has inspired support from around the world, shocked by pictures of the women, many in their 50s and 60s beaten by riot police and moved by their determined and dignified struggle. The Greece Solidarity Campaign in the UK is in direct contact with the Committee and in response to their appeal we are organising to mobilise a show of solidarity for their struggle on Saturday 20 September 09.30 to 11.00 morning outside the Hellenic Centre, 16 Paddington Street, Marylebone, London W1U 5AS. 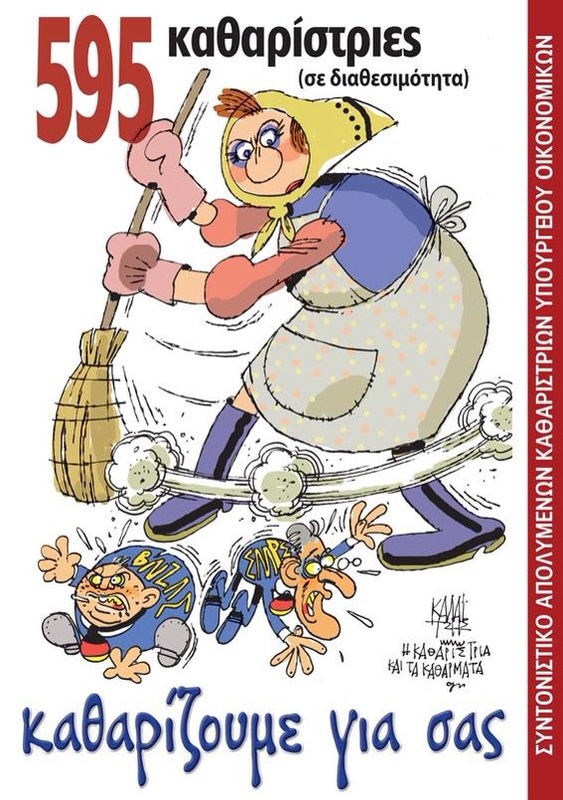 Copyright © 2014 Greece Solidarity Campaign, All rights reserved. 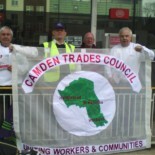 This entry was posted on September 1, 2014 by CAMDEN TRADES COUNCIL.